The Zenith D22 MTL Tank is a collaboration between Phil Busardo, Dimitris Agrafiotis, and Innokin. The goal was to create an easy and intuitive to use mouth to lung (MTL) replaceable coil-head atomizer. The Zenith D22 has an e-liquid capacity of 3.0mL and an even smaller diameter of 22mm. It features an easy top-fill twist design that will automatically shut off the liquid flow when filling in order to prevent flooding and gurgling. There is also an adjustable airflow and an easy AND clean method to replace the coil. Great flavor and long lasting coils. 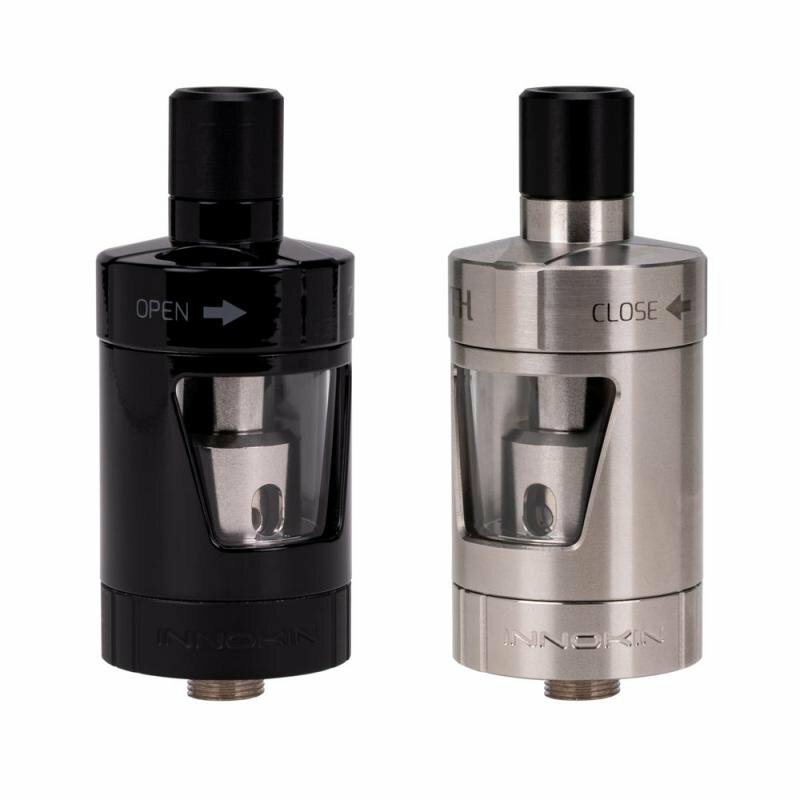 The Zenith D22 Tank comes with 2 styles of drip tips for comfort and two different coils to tailor your vaping experience. The new included Zenith Plexus Z 0.5 ohm Kanthal atomizer head provides excellent stability and durability, a larger heating area, ultra fast wicking, superior flavor, and longevity.